The ringtone of any user is something very personal. It is what notifies you when you get calls, alerts, texts or other notifications and is a reflection of your personal taste. Despite the fact that there are already numerous built-in ringtones included in a device, there is the option to purchase new ringtones from the Tone Store. 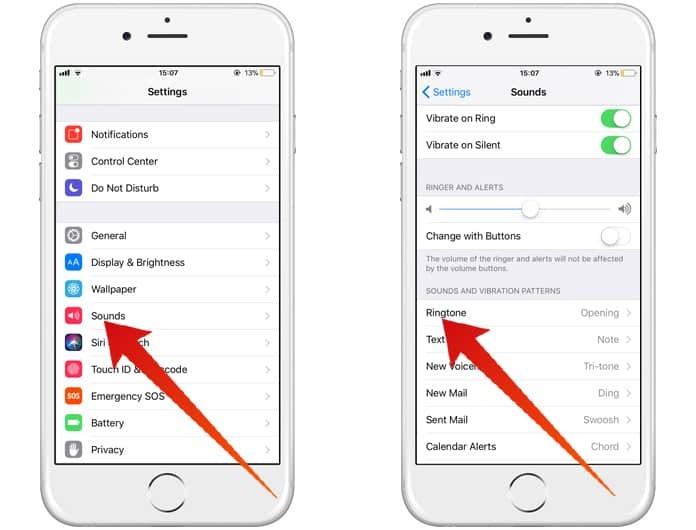 Whatever the source of the ringtone, it’s important to know how to change ringtone on iPhone. 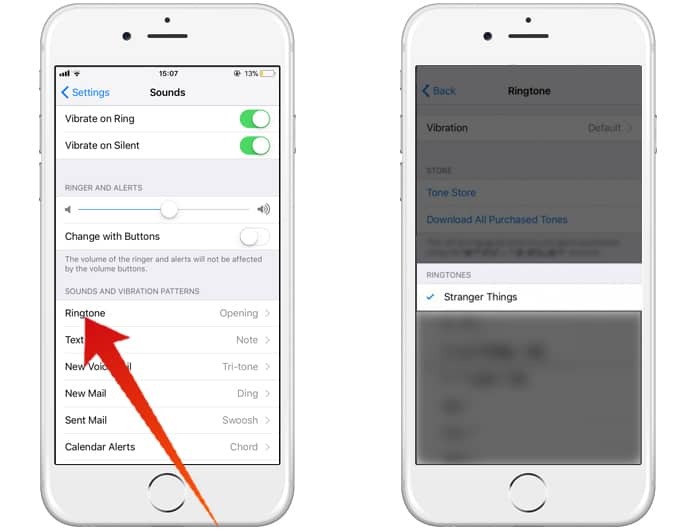 It’s actually pretty simple to change ringtone on iPhone. First of all launch Settings -> Sounds -> Ringtone. Once there, you will see a list of ringtones, just select the ringtone that you would like to set for your iPhone. The tone that you select will be visible since it will have a blue tick mark next to it. 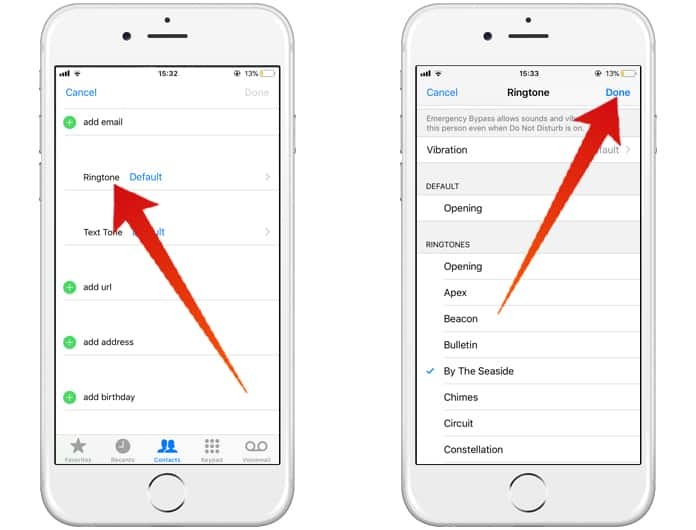 Start by launching the Contacts app and tapping on the contact that you want to set a specific ringtone for. Next, tap on Edit from the upper right corner of the display. 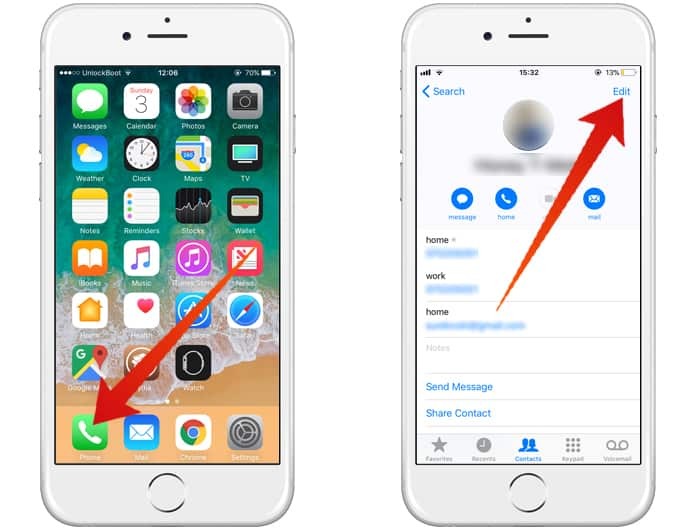 After doing so, just scroll down and tap on Ringtone before selecting whichever ringtone you would like to set for that specific contact. After that click on the Done option and that is all. In case none of the default ringtones is to your liking, it’s possible to buy new ringtones via the Settings app. 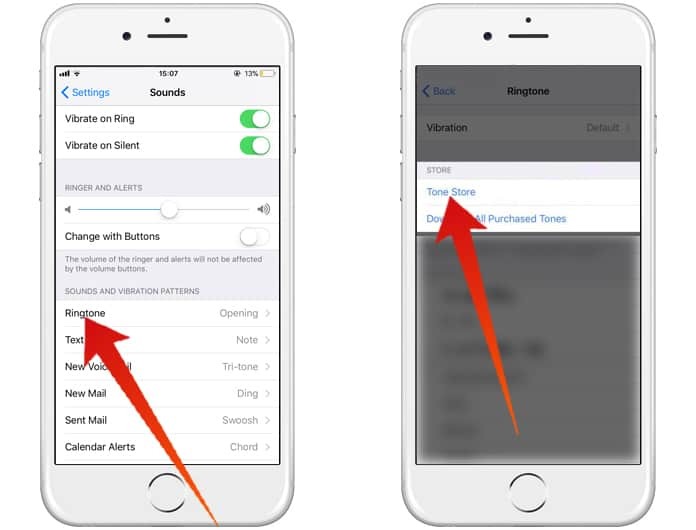 Just go to Settings -> Sounds -> Ringtone -> Tone Store and you will end up in the iTunes Store. Purchasing a new ringtone is extremely easy. All you need to do is tap on Tones from the top of the menu, or alternatively you can search for a tone or song through the search bar. After locating a ringtone that is to your liking, just tap the blue button to the right of the ringtone to see its price. To complete the final step and purchase the ringtone use your Apple ID or Touch ID or Face ID to confirm the purchase if you have those settings activated. Doing so is very simple. Just go to Settings -> Sounds -> Ringtone. What you will see next is that the purchased tone will have appeared at the top of the Ringtones list. Just select the tone and confirmation will appear in the form of a blue tick next to the name. 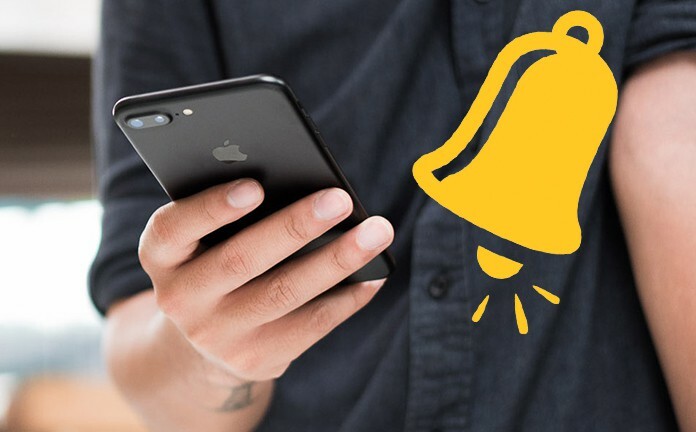 After setting up your new ringtone you will be treated to the sound of your preferred audio clip or song playing whenever you get a call or SMS. Have a suggestion? Let us know in the comments section.